Jam with SUGAR in it. Old-fashioned jam with sugar. Now I like to eat healthy at the best of times, but I don’t see occasional sugar as the enemy, and I don’t want always to take lovely treats I really enjoy and find a more nutritious version. Sometimes I just want nanna jam. 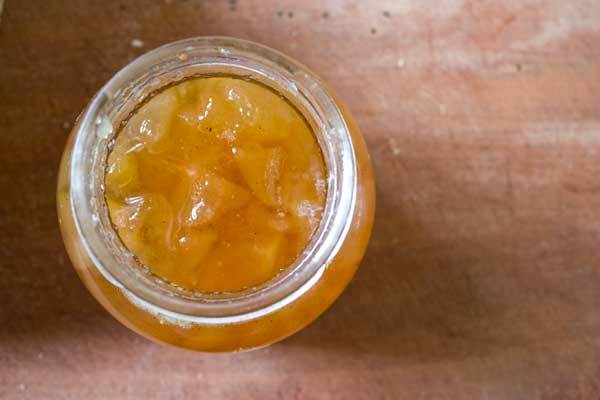 This is such a lovely nanna jam too, and so easy to make. Equal parts pear and sugar (I KNOW) with a squish of lemon juice and some cinnamon sticks and a vanilla bean. I took a kilo of pears, peeled and chopped them. I added them to a large, wide pot with a kilo of white sugar, two cinnamon sticks and a vanilla bean (scraping the seeds out first and adding them separately, then throwing the bean into the mix). I brought the mixture to a boil, and then simmered it, stirring occasionally. After about 45 minutes I took a cold saucer from the freezer and plopped a little dollop on it. My finger left a clean sweep through the jam, so I knew it was done. I ladled the jam into hot jars I had washed in hot soapy water and dried in the oven on a low heat for 15 minutes. I sealed them while still hot. This is not easy to do. Use a tea towel! Then the next day I ate this delicious concoction on a buttery scone with some whipped vanilla cream. I’m not a fan of pears but this sounds so easy I want to make some just for the fun of it! When my mum came to visit she made scones & they were the best damn scones I’ve ever had! 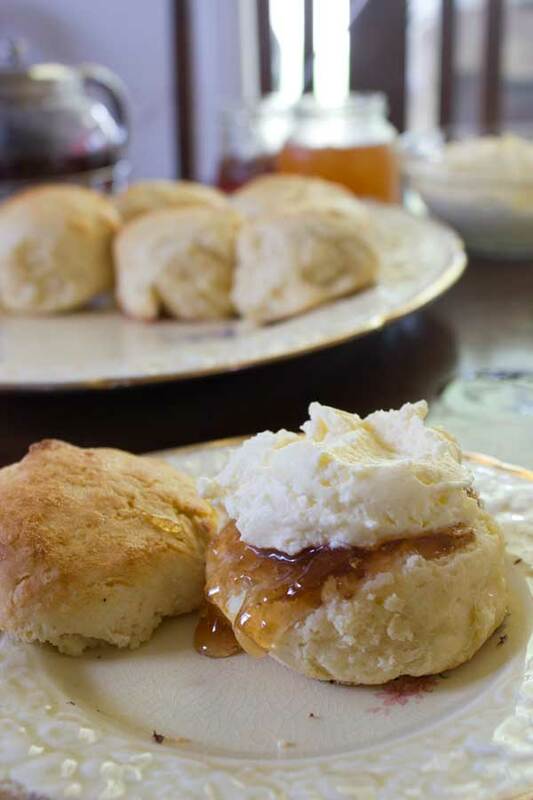 I’ve been thinking of making some & I think your pic just made up my mind- I need scones with jam & cream ASAP! It’s not really pear-flavoured if you know what I mean. Give me either your mother or her recipe… right now. The recipe is from the book Country Classics- a collection of 500 recipes from the CWA. Such a great book, I love it. Pre- heat oven to 260. Sift flour & salt. Make a well, add cream & milk. Stir with a knife until its a soft dough. Turn out onto floured surface & knead gently. Roll to about 12mm thickness & cut out scones. Place on tray, turn oven down to 250 & bake for 10 mins. I’m not sure if its the recipe or my mum’s light hands but I have never had a scone that is better! The vanilla flecked cream she served them with didn’t hurt either…drooling right now! ooh that is divine! I see it’s cream instead of butter, that might be the key to them being light. I actually cook extremely good scones (my one claim to fame!) and I know a good oven is vital. And being a nanna – I need to look into that. I do love a pear-y tale with a happy ending. It was a happy accident. Now I can’t wait to make it again! Oh my … just yum! Hallelujah Stacey! I think there is nothing better than sugar, and forgoing it forever is silliness! Yeah it’s the ‘forever’ bit that gets me – I just cannot commit to that! No nanna jam? that ain’t living. I did that once – too little sugar! Was still delicious though, and Abby had it on yogurt just about every day. Was wonderful to meet you too – I’m sure we’ll see each other again soon. I love homemade jam! And with scones, what a perfect afternoon snack! There’s a very good chance I will be making them today! Homemade jam is like soul food which offsets any bad effects of the sugar. I’ve never tried a pear jam but it does sound very old fashioned and nanna like which is what you want in a jam. It’s divine, I promise. Very subtle and delicious. I like your theory… I’m adopting it. Salivating at the whipped cream. So firm. Perfectly firm. oh BOY do I take scones and cream very seriously! 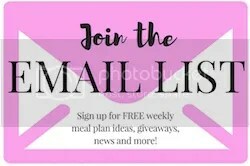 Hi Barbara! 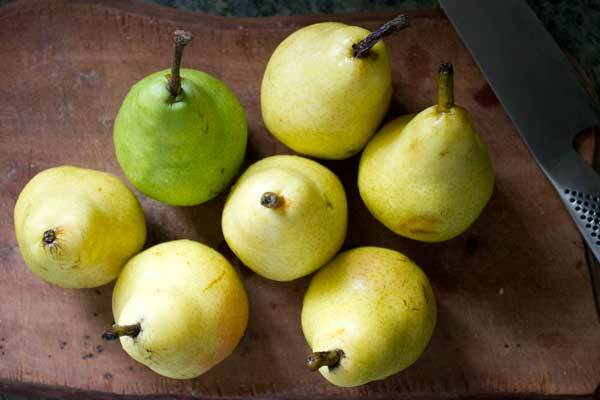 No, you don’t add any water – the heat and sugar will encourage the pears to break down and release their juice. For the vanilla bean, slice it down the middle with a sharp knife. Take the blade of the knife and scrape it down the inside of the bean to collect all the tiny brown seeds, then put those seeds and the whole bean into the mix. You can remove the bean shell later.